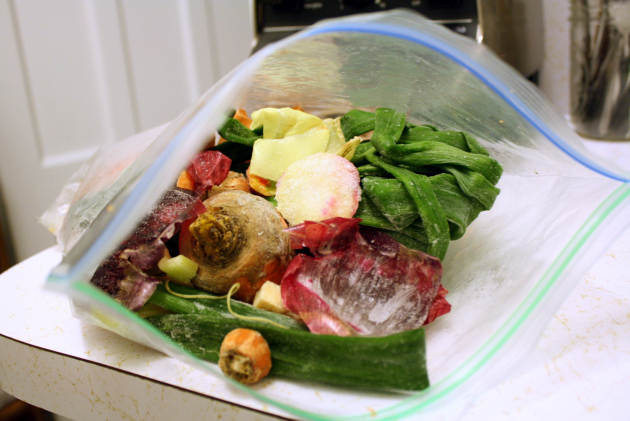 I saw John Oliver’s video the other day about Food Waste and it inspired me to share my food ‘saving’ ideas here, there might be one or two that you didn’t think about? I truly hate throwing away food, sad to see a peach growing mould or a cup of yogurt passing waaay by its expiry date… now these things happen, but there are tons of ways to avoid having to throw out food. Let me share some ideas from my kitchen! Mini pizzas! Easy and the best from 1-2 day old bread. Just add your favorite toppings, pop it in the oven and you have a quick and delicious dinner on the table. And breakfast the next day, if you make enough. If your bread is even older than mini pizza age (and not mouldy yet), dry it and make breadcrumbs of it. So much better and cheaper than store bought! It is difficult to resist buying a lot of fruits and veggies when they are looking up at you from the crates in the store so beautifully ripe and shiny. However let’s be realistic: if I know we will not eat 2 pounds of bananas or tomatoes in a few days or a week, let’s not buy so much. We usually buy only 2-3 bananas and apples at a time (unless, of course, there is apple pie in the making) otherwise they are just on the way to rot away in your kitchen’s fruit corner. I know, I’ve been there. Keep them where they are visible! It helps to raise ‘interest’ as well. Many fruits and veggies can be frozen as well if you bought or received too many from friends or family. Still if you end up with brown bananas or older apples/pears/peaches/apricots, put them in the blender for a healthy shot! They are also perfect for marmalade, banana bread, or pie filling. The older the banana, the sweeter it tastes. And of course, let’s save those veggie scraps too! 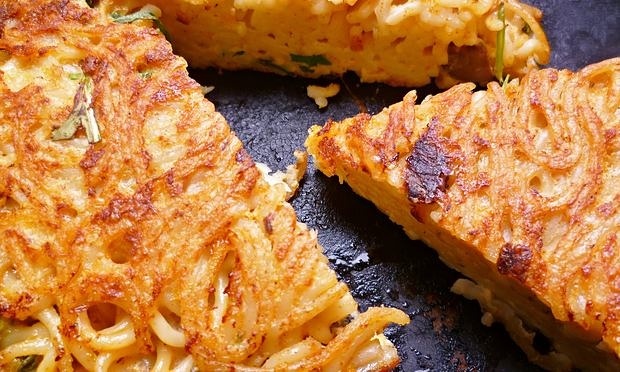 Did you ever try reusing leftover noodles in an omelete? Try it. It will make you cook more noodles than necessary only to be able to make these the next day. Recipe and other fun ways to reuse leftover noodles here. Also, food planning is key. If you have a well thought out agenda as to what you will eat during the week, you are less likely to end up with leftovers! Not exactly food but plenty of it goes to waste. Leftover drinking/cooking water goes directly into the watering can in our home to be used later for watering our plants. Another top idea from IKEA.com: “Your house plants are thirsty. You’re in the shower. Collect the water and treat your plants to their own summer shower. Just be sure to use soaps, shampoos and conditioners that are (SLS) chemical free.” Why not? I LOVE John Oliver…almost as much as Jon Stewart (so sad to see him leave the show) but at least we’ve still got John Oliver to watch. Great ideas you’ve got for not wasting food (and water). I’m one of those people who always overbuy fresh fruit. When it’s in season I want some of everything and know I can’t eat it all.